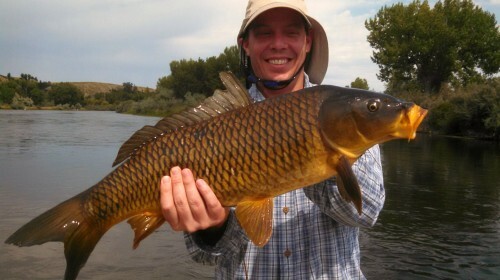 Carp on a fly….Nice Lew…very nice! 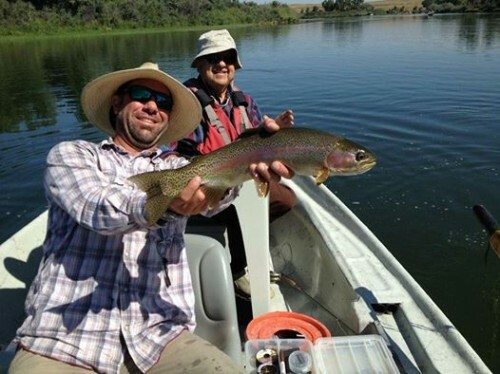 Posted in Reports & News | Comments Off on Carp on a fly….Nice Lew…very nice! Jeff with a great brown. 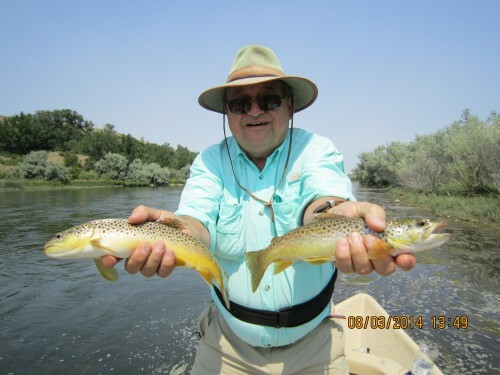 Posted in Reports & News | Comments Off on Jeff with a great brown. 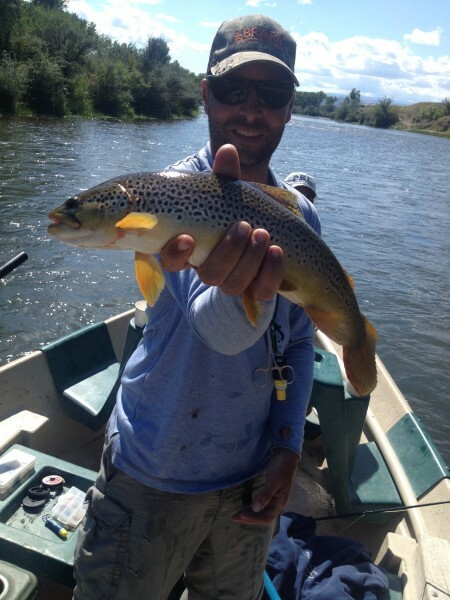 Holden holding Pat D’s 20″ brown trout. Nice job guys! 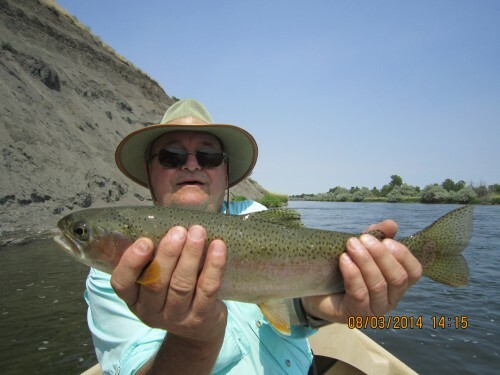 Posted in Reports & News | Comments Off on Holden holding Pat D’s 20″ brown trout. Nice job guys! Jim P with a great bow. The sun is shining. Life is good! 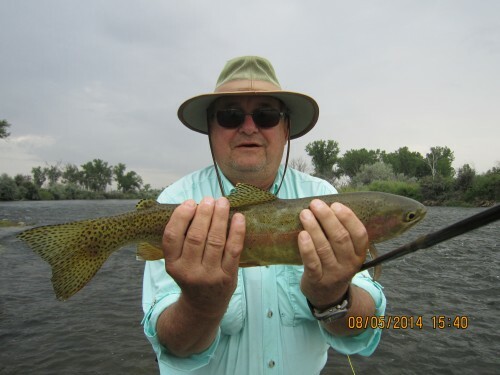 Posted in Reports & News | Comments Off on Jim P with a great bow. The sun is shining. Life is good! Posted in Reports & News | Comments Off on Nice one Jeff…..very nice! Wayne’s 17th trip! A great trip, great fish, and even caught a double by himself! 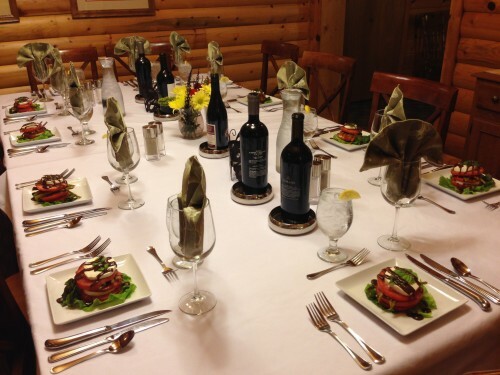 Posted in Reports & News | Comments Off on Wayne’s 17th trip! A great trip, great fish, and even caught a double by himself! Lloyd, 82 years young declared to guide Tyler Cote “I only want to catch one fish today.” This was his FIRST fish of the day….and the conversation was soon forgotten…he fished all day. What a great man! 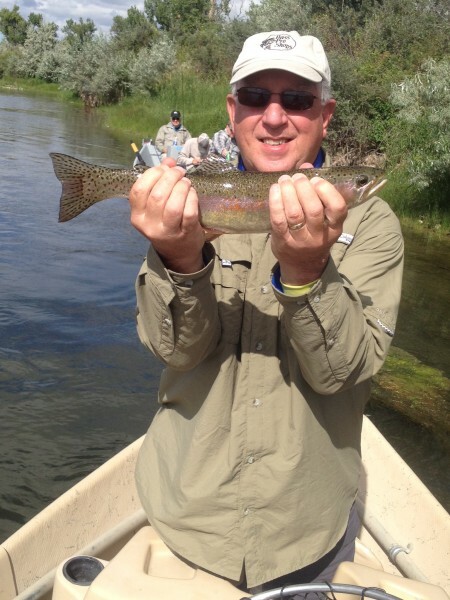 Bighorn Brown…look at those spots! 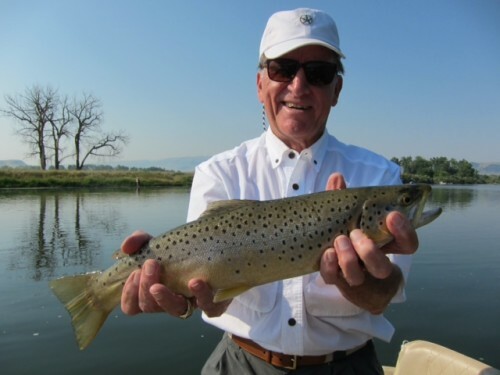 Don with a 19″ brown trout. 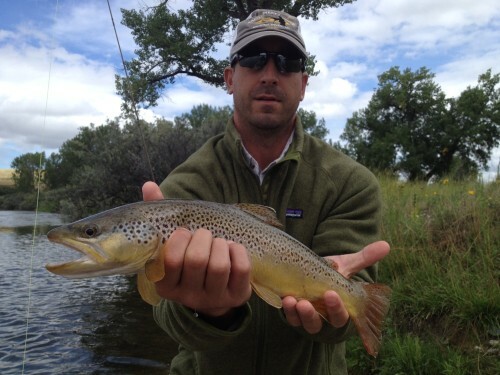 Posted in Reports & News | Comments Off on Bighorn Brown…look at those spots! 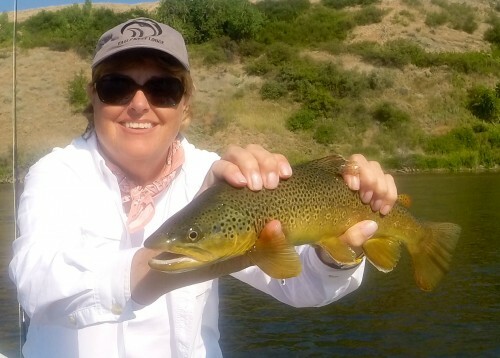 Marcia with a brown caught on a hopper! It’s Hopper time!! 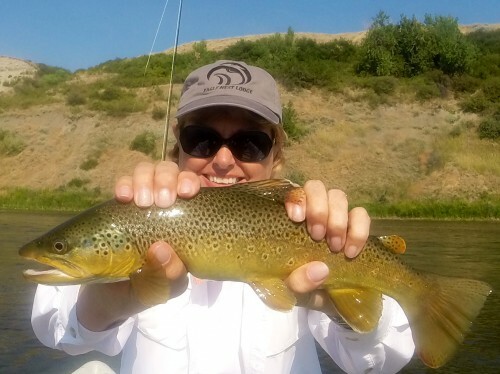 Posted in Reports & News | Comments Off on Marcia with a brown caught on a hopper! It’s Hopper time! !